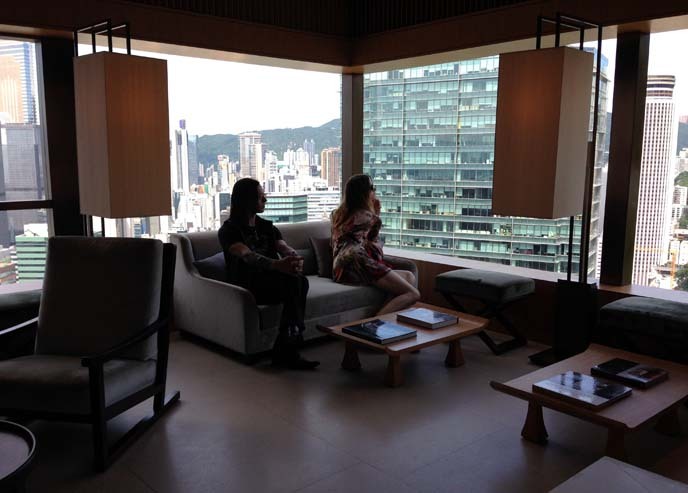 I recently stayed in four hotels -- in New York, Taipei and Hong Kong -- filled with memorable pieces by modern artists. These ranged from rickshaws in the lobby, to Little Prince quotes by the elevators, to abstract cocoons next to the bathtub. As an art lover, I'm pleased to see the rise of boutique hotels that combine a luxury stay with a gallery experience. Most of these "design hotels" opened in big cities over the past few years, and are thoughtfully decorated with works revolving around a central theme. Take a peek inside these innovative hotels, and see how they are uplifting travelers through art. 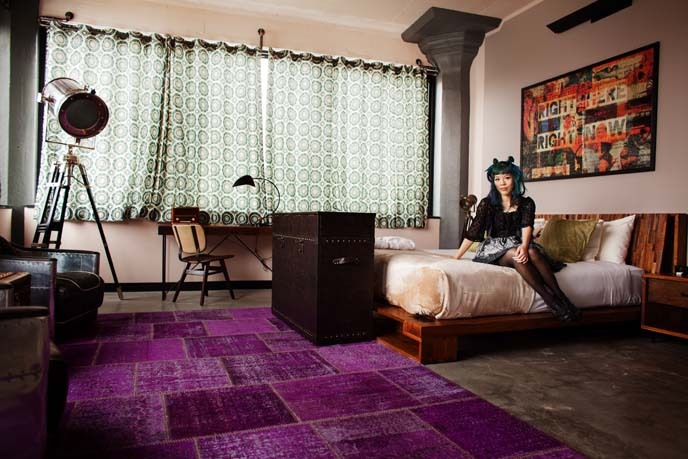 The Paper Factory is a 122-room hipster hotel that pays tribute to its former incarnation (a hundred years ago, it was a manufacturing space). Old machine parts are now works of art, placed throughout the rooms. I noticed subtle references to the past, like a concrete floor inset with clips from 19th-century Queens newspapers. The Paper Factory Hotel's mission is to encourage guests to get creative. 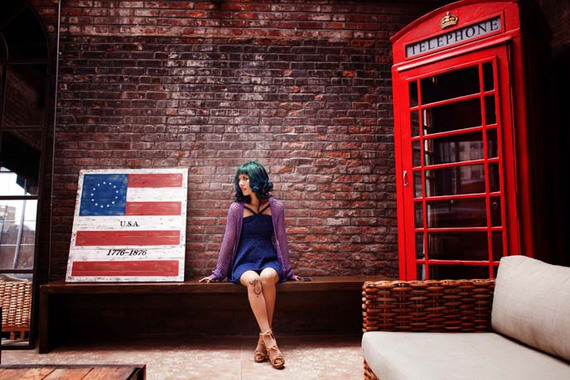 I loved taking photos with the eclectic objects in the lobby, which include a British telephone booth, Bangkok rickshaw, and vintage television. The hotel is in Long Island City, near two of my favorite New York museums: MoMA PS1 and the Noguchi. I even found inspiration on the Paper Factory's graffiti-marked rooftop, which has a magnificent view of Manhattan. Opened last December, Taiwan's Humble House is a concept hotel inspired by the Rabindranath Tagore quote, "Let Life be Beautiful like Summer Flowers." Every aspect of the design ponders the relationship between nature and civilization. Humble House has a sleek grey aesthetic, which puts the focus on organic forms and green spaces. 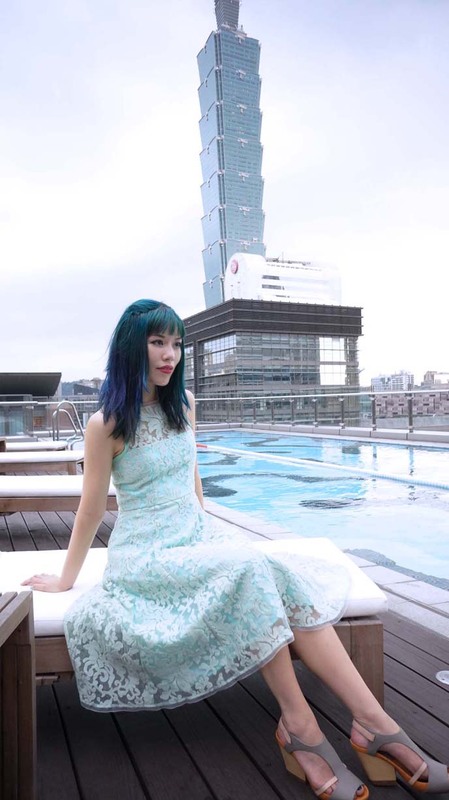 There's a sky garden with rock-shaped seats, and an outdoor pool with a view of Taipei 101. The hotel is filled with commissioned works by contemporary artists. Some use technology to comment on the mix of city life and nature in Taiwan. The ground floor features a lighting installation by Paul Cocksedge: suspended from the ceiling, his high-tech sheets twirl as if they were being carried by the wind. Many of the works have a sense of fun, like Paola Pivi's "Crazy Ball," made from miniatures of famous chair designs. On the restaurant terrace, there's a butterfly statue made from corten steel that changes color with the seasons. All of these elements let guests to get closer to nature, while staying in Taipei's business district. Everything about The Upper House Hotel is designed to create calm. Up in the Sky Lounge, I felt like I was floating far above the madness of Hong Kong. 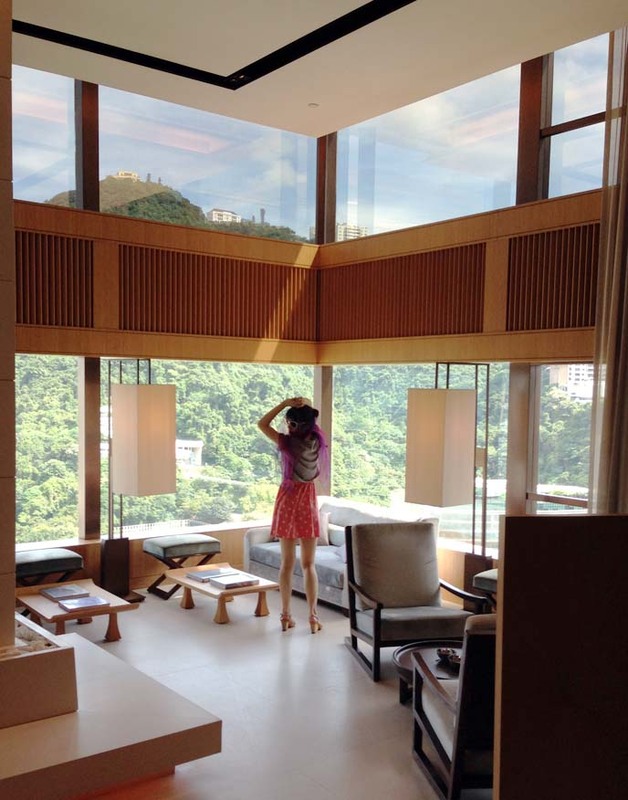 The Upper House was designed by young and acclaimed architect, Andre Fu. His interiors are minimal and only use natural materials like ceramic and wood. As guests ascend the dark escalator tunnel, they leave behind the stress and noise of the city. My suite on the 41st floor had this brilliant view of Victoria Harbour, the Peak and Wan Chai. The 400 square foot bathroom featured a limestone free-standing bathtub, next to an oval sandstone sculpture. 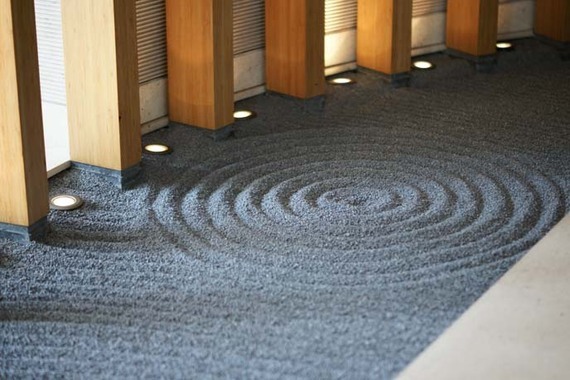 The Upper House communicates tranquility through subtle design elements, such as a Zen sand arrangement. I was impressed by the choice of contemporary works, which included a light-and-shadow play near the restaurant, and "cocoon" in the elevator. Taipei's Le Meridien could easily be mistaken for a modern art museum. When I walked in, I saw an immense silver statue of a giraffe with his head bowed, representing the hotel's dedication to guests. 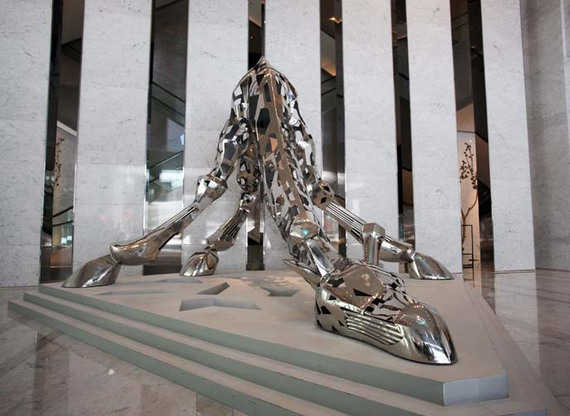 The curation is outstanding, with an emphasis on contemporary Asian artists with a sense of humor. I smiled at these seemingly childlike drawings by China's Ye Yongqing. I also enjoyed Cao Hui's statue of a caveman raising his hands in apology, and a grumpy fish by Hiroshi Ohashi. 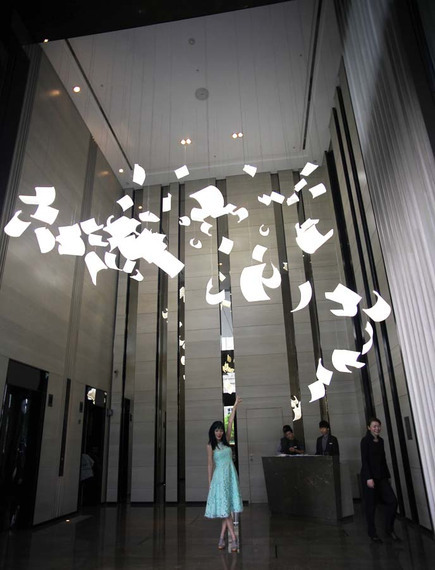 Le Meridien even integrates works into the 160 rooms, to put art within reach of every traveler. I find myself still thinking about the X-ray photos of flowers above my sofa, and the shadow sculptures that project lines from The Little Prince book. Have you heard of design hotels? Would you seek out accommodations that emphasize art? For more art and travel coverage from around the world, visit La Carmina blog.